If you hate the word ‘Process’, optimizing it may sound even worse. Contrary to the popular belief, processes are meant to increase overall efficiency of the system and to eliminate any waste that prevents the smooth flow of execution. The processes must be continuously defined, continuously optimized and continuously aligned to business goals in order to have long term sustainable growth and success. Process is often something that is used passively in the organizations, or worse, associated with bureaucracy in big organizations, and hated in small size organizations as a symbol of free culture. In both the cases, no one actively and holistically defines on what works best for them. The processes in such a setup are simply the transaction based rules within and between various functions, and everyone tends to lose the big picture while being overtly focused on their specific goals. System must be built and organized around business goals/value. To manage a system, we need skilled people and continuously optimized value-driven processes. 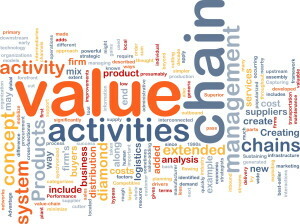 Holistic mapping of entire business value-chain and value streams is the key to overall business success. 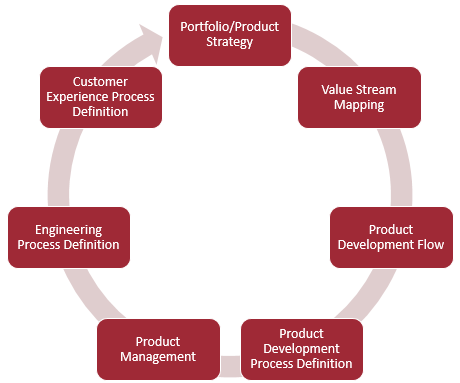 ‘Process’ is generally associated with engineering practices. 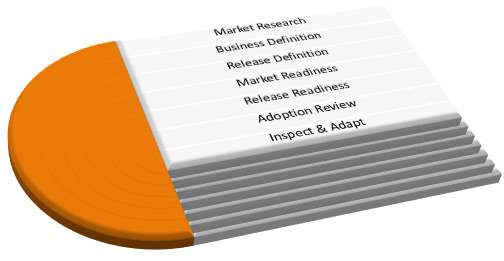 The good news is that the need for overall process optimization is being felt by organizations of all size – whether you are building a lean startup, or trying to maintain the competitive lead, or trying to manage rapid growth and don’t want to lose the pace… it requires everyone aligned to the same purpose on continuous basis. Building the right competitive strategy is the foundation businesses are built on. 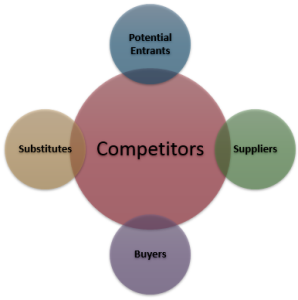 A good understanding of five forces driving industry competition enables businesses to come up with their playing field and operating strategy. Strategy must be validated early on through customer facing experiments, also resulting in a great market validation and data points to continuously refine it. It is important to identify the value streams to implement the strategy early on, before we do down the execution path. All the budgeting decisions become scientific and easier when it comes to choosing which portfolio items should be picked up first, and why. This is even more critical for companies with multiple or competing products in their portfolio. 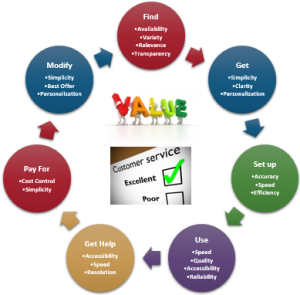 Any product/service that can deliver significant value to the customer and has potential to grow/become independent business unit, is a potential value steam. Depending on the size and scale, level and number of stakeholders (the value chain) in a business decision tree may vary. Hurdles and associated delays at each touch point slow down the business drastically. It is important to measure the cost of delay and economies of scale at each touch point and decentralize the decision making to ensure swift concept to cash flow. Eliminate any potential waste in the entire flow. Value stream mapping must ensure the most economic value flow between the value chain for faster value realization for both customer and the business. Chances of waste go higher and sense of ownership tends to go down as the chain goes longer. A typical enterprise value chain is typically longer, and hence, once the business shows signs of a slowdown (the awakening), it goes through the normalization process of streamlining. A lot can be saved if value chain is based around core principal of organizing everything around value (business value; not individual functions). Waste is minimized by design in a lean value chain. Sound and holistic product development process ensure provides greater clarity and understanding to entire value chain, about the goals, roles and mechanism to tie all business pieces together. PDP captures the essence of value stream map and provides collaborative, cross-functional business review framework with built in crucial checkpoints to review the progress of value stream deliverables. Product Management is going up the maturity curve pretty fast since last few years. The focus is rightly shifting towards providing the finer balance between inside-out and outside-in approach. This is becoming very importance in today’s highly competitive industry where the entry barriers for new entrants are getting lower. 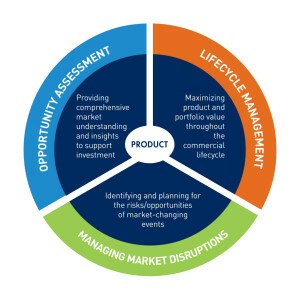 To provide the right differentiation, product management processes focus on wide degree of possibilities, options, market analysis before deciding why to build, what to build, for whom to build, how to deliver to maximize the user experience, and so on. Product Management largely ties the external world to the engineering teams – sound product management process provides that balance required to keep both the worlds in harmony. The engine for any organization lies in the execution – it’s engineering. Software engineering processes and practices emerged as a need to have some sense of control on the development process given the nature of (intangible) deliverables. 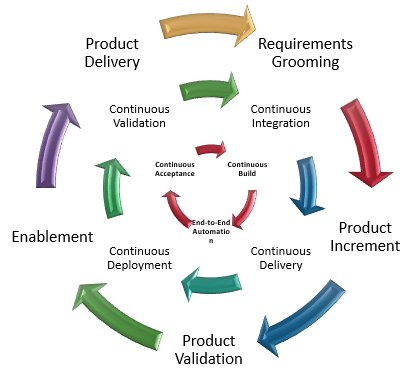 It is going through its own maturity cycle since the early days of waterfall approach, then through the paranoid days of excessive command-and-control based processes (ISO, CMM) and now through lean agile ways of building the products since last few years. It will continue to evolve to remain in sync with the changing geo dynamics, customer priorities and technology shifts. As the teams increased their velocity through collaboration tools like Scrum, Kanban, the various tools and technology to support teams have also emerged in parallel. Agile development tools, Continuous Integration, Continuous Delivery, DevOps is becoming an integral part of engineering process definition. Various frameworks like Scaled Agile Framework (SAFe) and Lean Startup framework have successfully emerged on the scene as proven models. While there is no one size fits all model (there will never be), there are enough good tools and frameworks available to ensure engineering is enabled for building high quality products at much faster pace, and at lower cost on continuous basis. Improved engineering capability to reduce time to value and time to market is become one of the top most choice for every customer. 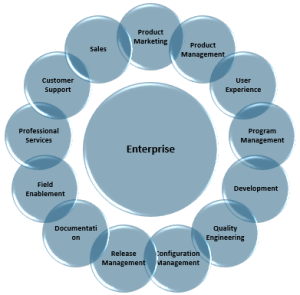 It is often a deciding factor for enterprise class customers. Customer Experience is gaining a lot of traction as one of the key differentiators. Traditional departments like Customer Support or Sustaining are no more relevant in today’s context because of reactive nature or operating principal of these departments. Customers no longer expect issues in the product in first place. Instead, they expect better, holistic customer experience from Day 1. They expect a lot more than basic (reactive) support, price differentiation. Successful organizations are enriching the customer experience through lean value stream mapping with entire value chain aligned to ensure customer delight.